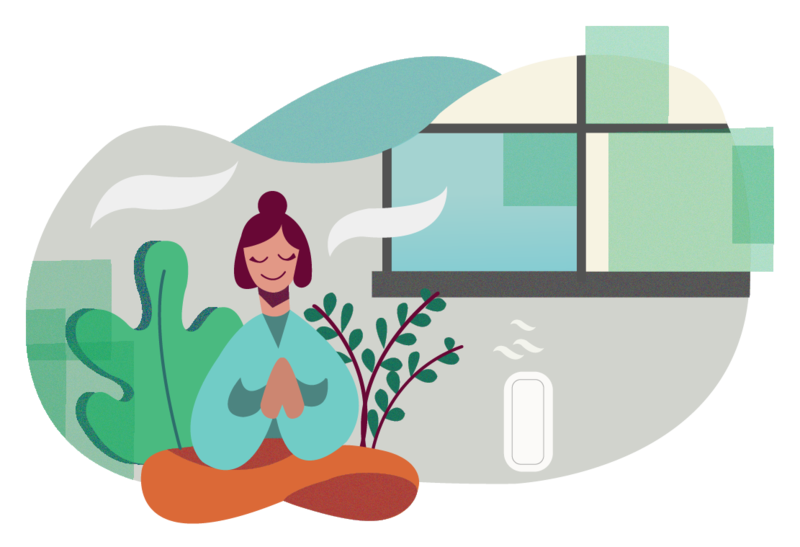 Indoor air quality (IAQ) often takes a back seat to energy efficiency, but it is equally important if you want your space heating, air conditioning and ventilation to perform at their best. Improving IAQ makes your home more comfortable, and breathing less air pollutants saves you plenty of medical expenses in the long run. The following are some surprising ways to improve your IAQ, which are also easy to implement. This might seem counter-intuitive if you live in a highly populated area, but outdoor air is actually cleaner most of the time, and this applies even for cities. On average, indoor air is 2 to 5 times more polluted than outdoor air. Some plants emit large amounts of pollen during their flowering season, and pollen is an air pollutant when found indoors, causing irritation and allergic reactions in some people. Shut your windows if there is plenty of pollen outside. Even though outdoor air is less polluted on average, there are periods of peak pollution, especially during high-traffic hours in hot summer days. 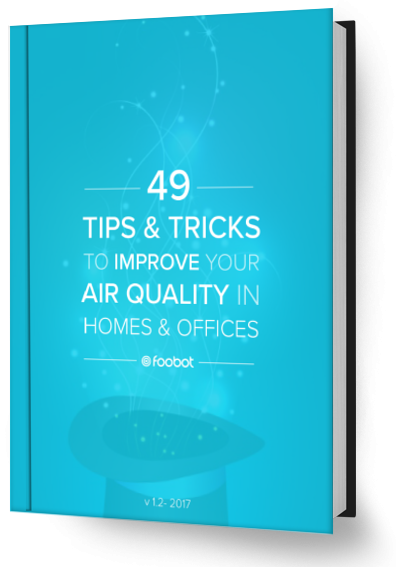 Foobot can compare outdoor and indoor air quality, displaying the result on a smartphone app. You can open the windows freely as long as outdoor air quality is better. We tend to see ozone as good for humans, since it protects us from the sun’s ultraviolet radiation. However, this only applies for ozone in the upper atmosphere, and it is actually considered a harmful pollutant at ground level. Ozone irritates the respiratory system, and can cause severe pain when its concentration is high. Avoid using ozone-based filters in your home, since they remove some pollutants but replace it with another one. Volatile organic compounds can be deceiving. They have negative effects on your health, but some have a pleasant smell, and for that reason they are used in many cleaning products and artificial fragrances. Aromatic candles are even worse for IAQ, since they emit not only VOCs, but also particulate matter. In general, anything with an open flame and without dedicated ventilation is detrimental for IAQ. A better option is to use natural aromatic plants, which also have the ability to capture and filter out many types of air pollutants. There is research by NASA proving that indoor plants can reduce the concentration of VOCs such as formaldehyde, benzene and ammonia. Dry-cleaning is very convenient, but many of the substances used in the process are filled with VOCs. When you bring dry-cleaned clothes back home, leave them outside for a few hours to minimize the amount of VOCs released indoors. New clothes also come impregnated with harmful chemicals from their manufacturing process, and should be washed before being used for the first time. Otherwise, you will be inhaling a large amount of these noxious compounds the first time you use them. Wash new clothes even if they will not be used right way, to prevent them from releasing VOCs indoors. It’s easier to save energy when you’re aware of how much you are consuming, and you are more likely to stay fit when you keep track of your weight. The same concept applies for indoor air quality: you will tend to be more proactive with if you are aware of the pollutants present in your home, as well as their location and concentrations. Foobot is a versatile monitoring system, capable of directly measuring two of the common types of air pollutants found in modern indoor spaces: volatile organic compounds (VOC) and particulate matter (PM). Foobot also measures humidity: it is not a pollutant by itself, but it stimulates the growth of mold, dust mites and bacteria when its level is too high. Ideally, relative humidity should be kept below 60% and above 30%. You can achieve better results with multiple air quality monitors, since you can pinpoint the source of pollutants more easily by observing which monitor displays the highest value. Indoor air quality can defy common sense, and that is why a monitoring system is highly recommended. To improve IAQ, make sure your house receives plenty of fresh outdoor air, and remove indoor sources of air pollutants whenever possible. Do not trust your sense of smell when dealing with air pollutants, since some of them actually have a pleasant odor.